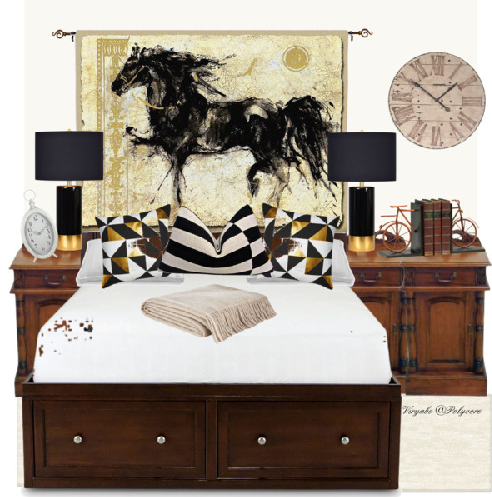 Having wall art and paintings make a whole lot of difference to an interior space. Not only does it make your vertical surfaces interesting, it also adds style to your room. But if you thing hanging wall art is easy as pie . . . well is not that easy to get it right. Many homeowners don’t know that hanging art on walls is an art in itself. So it’s not uncommon to find that people make mistakes which are not quite easy to once you’ve punched holes in the walls, or framed some painting that looks best unframed. These are 7 of the most common art displaying mistakes to avoid. Artwork is hung either too low or too high. Hang paintings 60 inches midpoint from the floor to the middle of the art. Art is hung lopsided or crooked making it visually un-levelled. When forming a gallery, collage, or grouping of art works on the wall, you failed to plan beforehand. You don’t realise that the size of artwork in relationship to the size of the wall it is mounted on is important. Hanging a small picture on a large wall or a large work of art on a small wall is a no-no. Filling all walls in the room with pictures, paintings, and posters. 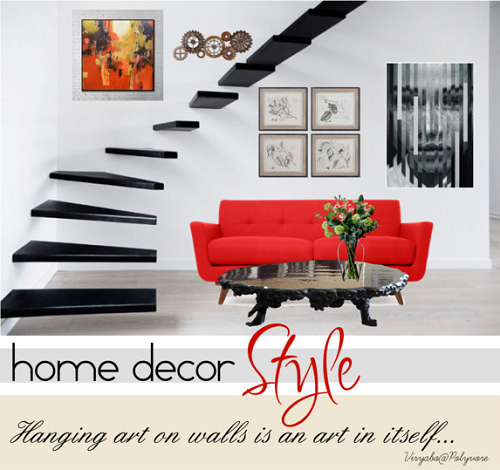 Don’t restrict yourself to hanging artwork that has a mix of all colours of the interior space. It’s best to use them to break free from the confines of colour palette choice. And don’t create a dull boring effect by hanging the same type of art on the walls. Hang a mix of artwork . . . framed paintings, metal art, works on stretch canvas, ceramic plates, tapestries, and other wall art pieces. A variety of types and sizes of wall hangings will spice up the room and ensure it is aesthetically pleasing. And finally, not layering your wall art to connect them to the rest of the room’s décor is a mistake most people make. Create exciting layers by positioning a floor lamp right in front of a hung painting or place a potted plant to its side. Let a few fronds float in front of the art. This form of layering helps connect your art to the rest of the room, creating a more stylish look in the process.